George Kennan died in 2005 at the age of 101. During his long and productive life Kennan witnessed, often first hand, the emergence of the United States as a global superpower. An expert in Soviet affairs, he deeply influenced the crafting of American foreign policy during the Cold War. His famous Long Telegram and “The Sources of Soviet Conduct” (signed “X”) in Foreign Affairs were foundational texts for the American policy of containment, although Kennan came to regret some of the ways in which the policy was implemented. 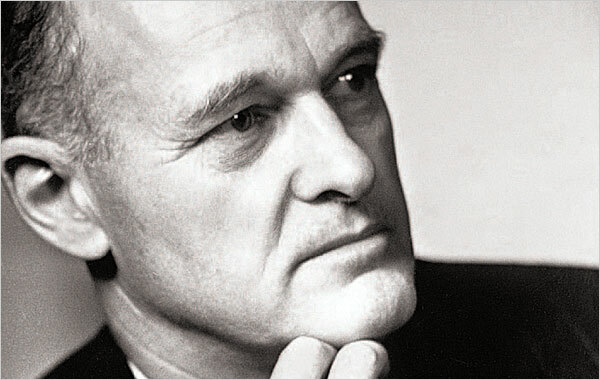 After his distinguished career in the Foreign Service, Kennan retired into a long academic career at Princeton’s Institute for Advanced Study. I know of no reason to suppose that “democracy” along Western European or American lines is necessarily, or even probably, the ultimate fate of all humanity. To have real self-government, a people must understand what that means, want it, and be willing to sacrifice for it. A reminder that Wilsonian interventionism has not been the 0nly stream of American foreign policy, and a warning of sorts as well when we consider the conditions of “real self-government” as Kennan puts it. Next > What are universities for?